Well here’s part two of the report card. In case you missed part one it’s right here, part two is focusing in on the rest of the team. Nova Nation stood still as they waited anxiously for his return from injury and his career debut as a Wildcat. He’s only played in five games so far and has already made an impact on the bench, getting his minutes in a rotation involving several guards. He made his debut many miles south from here in the Bahamas. He performed well at the Battle 4 Atlantis tournament, sporting a combined 8 for 12 three point shooting. One thing that is evident and that I like about his game is that he plays like the score is 0 – 0 whenever he is on the court. The amount of hustle and excitement he plays with whenever he is on the floor is great to watch. During the Holy War, there was one instance when he was driving to the hoop for the layup and got fouled. He didn’t make the layup and he clenched the ball tight in frustration. At that point in the game, the Wildcats were a lock to win the game but it didn’t matter to him. This energy and excitement is apparent offensively and defensively and is a good sign to come for Villanova. This kid can play, contributing valuable minutes off of the bench. He is a guard who can do a little bit of everything. Wildcat fans have been impressed and satisfied with his play. He is a hard-nosed player that works hard when he’s on the floor. He can drive it to the hoop or shoot the three when needed. A team that usually goes with a smaller lineup would raise some questions when it comes to rebounding. 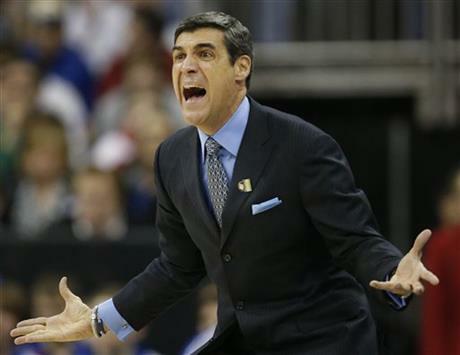 For Villanova it is not an issue, and have been usually outrebounding opponents. Hart has been a huge help, he is tough inside and can come in fighting hard for rebounds. He crashes the offensive board well, getting clutch offensive rebounds that became second chance points. He posted his first career double-double in the second game of the season against Mount St. Mary’s. He came up big in overtime against Iowa in the Battle 4 Atlantis final. As a freshman, he can only get better from here, and that’s reassuring for Villanova fans. With Wildcat fans busy raving about Josh Hart since the Mount St. Mary’s game and anxiously awaiting the return of Dylan Ennis, he needed to make his own mark. Against USC he showed that he’s a big man who can make the three if teams give it to him. He didn’t shy away from the big stage and was a crucial part to the Wildcats beating Iowa, coming up big in overtime. His numbers this season aren’t mindblowing, but he shows up in key situations. Jenkins is still only a freshman so there’s still a lot of time for him to adjust and develop. I like what he’s been doing so far. He plays hard and will contribute in scoring and rebounding for the rest of the season as he continues to grow. I like Chennault’s role as the setup man. A pass-first point guard with great vision of the floor. Chennault is known not for his scoring, but rather everything else. It would be great if he could improve his shooting on the floor (3-17, 17.6%), as his stats are a tad bit low. However, he does get the job done by other means like on the free throw line, shooting 80% so far this season. He doesn’t turn the ball over much and gets his teammates open looks on the floor. He’s been on the passing end on a few alley-oops so far this season. Chennault has also produced on the defensive side of the game. He is a good perimeter defender, keeping his match-up on lockdown. He also averages about a steal per game this season. Not sure if this is a fair grade to give him for his play. I think he definitely needs more minutes, he seems to be getting lost in the shuffle. He got more time earlier in the season, and his minutes have decreased ever since. I wonder if it has to do with Ennis returning, and that Villanova has been going small. Jenkins also seems to be getting preference before him. Can’t really complain much about him because he hasn’t gotten much time to begin with. He had 20 minutes in the stretch of the first four games, and in the last five games he only has six minutes. Against Mount St. Mary’s he showed that he is a decent rebounder, but in the next game, he didn’t really show much in the ten minutes he had against Towson. The inspiration for the name of this site. Their success on and off the court is based off of the team’s success. They get the crowd going when they’re on the court, and then they get national attention for what they do off the court on the sidelines. The TV cameras haven’t given them too much time (which is a shame), nothing so far the season has topped what they did at the Georgetown game last year. Henry Lowe leads the Bench Mob in scoring and has a nice 100% shooting percentage. Nick McMahon has gotten the most play time out of the three. Pat Farrell is the man in the middle.